What Does Three-Way Venting on a Gas Dryer Mean? Can a Dryer Vent Be Directed Upward? 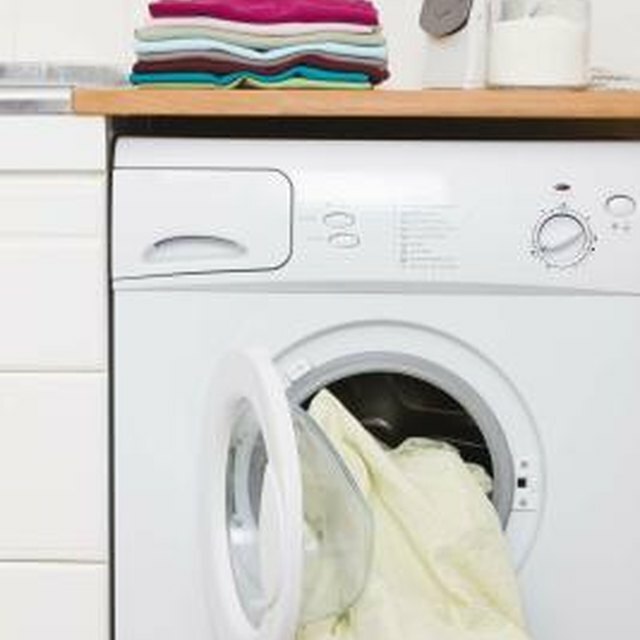 Air cycles in and out of your clothes dryer to turn your wet pile of laundry into dry clothes that are ready to wear. A small blower in your dryer pushes the water, wet lint and gas exhaust up through a duct and out of your home. Effective venting eliminates lint buildup in your line, which helps your dryer run more efficiently and reduces the risk of a fire. Dryer vent installation through vinyl siding is a project that you shouldn't delay. Properly vent your dryer for energy efficiency and safety. Drill a 4¼-inch-diameter hole through the vinyl where you want to install the vent, using a bi-metal hole saw. Screw a vinyl surface mounting block to the exterior of your vinyl. Vent caps work best when there is a strong seal between the cap and the exterior wall, but that's difficult when you have an exterior wall with texture, such as vinyl. A vinyl surface mounting block design helps create the seal you need so your dryer vent works its best. Slide the vent cap through the hole. Screw it in place, and then seal the edges with caulk. Run ducts from the back of your dryer to the vent location. Galvanized steel ducts work best because they are smooth, meaning lint won't become caught in the grooves on its way to the vent. Push a lower elbow on your dryer and an upper elbow on the inside of your vent cap. Slide the crimped end of galvanized steel ducts into the fitted end, and run as many pieces as necessary to connect your dryer with the vent cap. Tape the seams together, using metal foil tape to create a good seal. Use galvanized steel elbows to make turns when necessary, and cut galvanized steel ducts to size, using tin snips. Dryer vents should be at least 12 inches off the ground in a location that's the shortest distance possible from the vent to the dryer. Longer lines and more curves mean more of a chance that lint will become trapped in the line, decreasing your dryer's efficiency and increasing the risk of a fire. Wear leather gloves when you install dryer vents with galvanized steel ducts to prevent cuts on your hands.